Southern European countries were among the hardest hit by the 2008 economic crisis. In response to the economic pressure, declining public services and drastic unemployment situation generated by the crisis and the corresponding public policies, the Southern regions of the continent became terrains of experiments in self-organisation and gave birth to new forms of the civic economy. In this contribution, Tiago Mota Saraiva analyses the consequences of austerity policies on Portugal, Italy, Greece and Spain, focusing on how people tried to create networks of solidarity and resistance. In his brilliant book about the history of Latin America – “Las Venas Abiertas de América Latina”, (The Open Veins of South America) originally published in 1971 – Eduardo Galeano (1940-2015) starts by writing that the international division of work consists of defining that some countries specialise in winning and others in losing. Galeano describes a history of the region that is made by its own People, a history that does not depend on the greatness and the richness of the Country. A system where development deepened inequalities and popular sovereignty had to be bonded because There Is No Alternative. “It’s a problem of mindsets”, would declare the canny eurocrat after reading Galeano’s introduction. But the system is not far from what is now happening in Europe. This article is about the PIGS, the continental countries of Southern Europe. This racist acronym has never been claimed by any author. 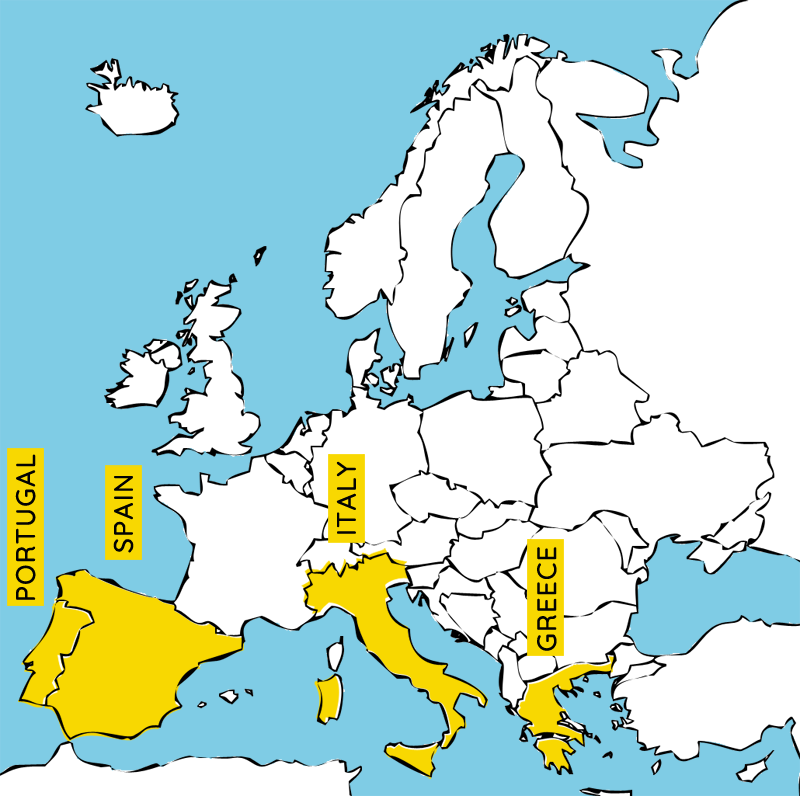 Some sources refer to its use during the end of the 70’s, but it definitely started to be used more often after the 2008 financial crisis as PIIGS (Portugal, Italy, Ireland, Greece and Spain) to refer to the five countries that were considered weak economies and possible threats to the eurozone. After 2013, with the Irish exit of eurozone bailout program, PIGS became four again as they were before. While each of these countries had different political and historical contexts and scales, over the last five years they have shared the similar financial impacts of EU austerity measures. From 2001 (the European economic and monetary union fully started on 1st January 2002) until the 2013 crisis peak, Southern Europe’s employment situation changed drastically according to Eurostat. In Portugal (unemployment increased from 3,8% in 2001 to 16,2% in 2013), Italy (9,6% to 12,1%), Ireland (3,7% to 13,0%), Greece (10,5% to 27,5%) and Spain (10,5% to 26,1%) unemployment rates increased dramatically. In the same period, unemployment increased in other European countries, more or less following the EU average, besides Germany and Finland where unemployment decreased, respectively, from 7,8% to 5,2% and 10,3% to 8,2%. These rates assumed an impressive impact on youth unemployment. The April 2014 Eurostat report unveils that one month prior to the official census in unemployment in Portugal, Italy, Greece and Spain the figures were, respectively, 35,4%, 42,7%, 56,8% and 53,9%. Despite the brain drain (for example in Portugal the emigration numbers were higher than in the 60’s peak, when the country was living under a fascist regime and fighting several wars in its former colonies), this data shows the massive number of people with no jobs and more free time. If we add to this those people living from precarious labour, with low salaries or low pensions, we may find a number of people that are in need of support to barely survive. Always according to the Eurostat it is in Southern Europe that we find the countries with the largest part of the population in risk of poverty with Greece (36,0% in 2014) and Spain (29,2%) at the top of the ranking. In opposition to what is happening in almost all other parts of Europe, the nationalist and far right parties in Southern European countries are not fighting in order to win elections or lead the opposition towards EU policies. The Greek Golden Dawn, probably the most exuberant party, is far from winning national elections. On the other hand – in Italy, Greece and Spain – there are social movements and local activists gathered in so-called anti-systemic parties/political movements, all with different characteristics, but presenting themselves as the face for the change. Although Syriza – the only one of those parties that, until now, has won national elections – is being severely criticised for its acceptance of the very strong EU austerity policies against which it once was established, in Spain, civic movements won local elections in large cities with a diverse set of new public and city policies that are being implemented. In Portugal, the massive demonstrations during the Troika’s official period of intervention, did not translate itself into a significant change in the architecture of national parties. However, despite the primacy of the coalition of right wing parties at the 2015 national elections, it did not achieve the majority of MPs to form the government. Instead of a right wing government, the Socialist Party was invested with the parliamentary support of the Left Block, the Communist Party and the Greens, under the agreement of progressively reversing the cuts on wages, pensions and the Social State. For the first time since 1974, when the long fascist dictatorship of Portugal was defeated, the Socialist Party is now leading the country, only backed by the left wing parties in the Parliament. Even though with different characteristics and at different levels, all these four countries have been witnessing the dismantling of the State. Privatisations of fundamental public sectors and the decrease of the public presence in economy have never been as evident as nowadays. In Greece and Portugal the situation was extreme. The Troika’s program forced governments to quickly sell the most powerful and profitable public companies at low prices. On the other hand, the Welfare State has proven to became an Assistentialist State only programmed to act in desperate situations and not working on people’s emancipation from poverty. With the increase of sovereign debt, states have increasingly lost their independence in a process that inevitably damaged the democratic system. The “oxi” vote at the Greek referendum and the following reaction of the EU leadership, forcing on the Greek government an even more severe agreement, constitute a historical event we should never forget when analysing the growth of anti-EU feelings and the rising popularity of sovereignty movements among the working classes and poorest urban areas. Despite the high proportion of people unemployed and retired, people in Southern European countries do not have more time left to participate in common or community issues. Precarious and low-wage jobs, the insecurity of personal futures, longer daily commuting, or the family assistance of children and older people are some of the new issues that overload working days. These may be some of the reasons why people tend to participate more in initiatives that start from a will of reaction or resistance to a specific problem – either locally based or humanitarian – than from a global and theoretical ambition of structural and global societal change. 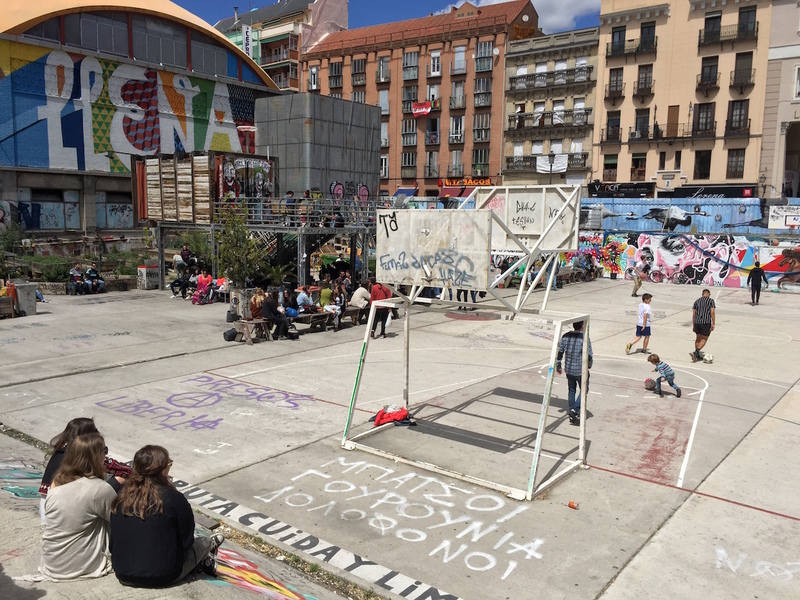 Coop57 is a financial services co-op that started in Catalonia, emerging from workers’ fight to keep their jobs at Editorial Bruguera, during the 1980s. Over the last decade, the action of the cooperative spread all over Spain. Its main declared goal is to help the social transformation of economy and society, assuming that money and the Coop57 cannot do it on their own, but that they can play a role in helping people, organisations, collectives and groups that promote policies for investment and quality jobs in food and energy sovereignty, inclusion and spaces for culture and socialisation. Carrozzerie | n.o.t is a theatre space in Testaccio, a former working class neighbourhood in Rome – now in the process of gentrification. The space was renovated in 2013 and it hosts dance, theatre and performative projects of younger generations of artists. It defines itself as a space for slow time, courageous and far-sighted projects. Carrozzerie | n.o.t works in the same artistic areas as Largo Residências, in the Intendente neighbourhood of Lisbon. Until 2012, Intendente was seen as one of the most dangerous areas in the city centre and an area to be renewed on a large-scale urban operation. Largo Residências started in 2011, renting a building on the square, and assuming the goal to fight against the gentrification of the area. 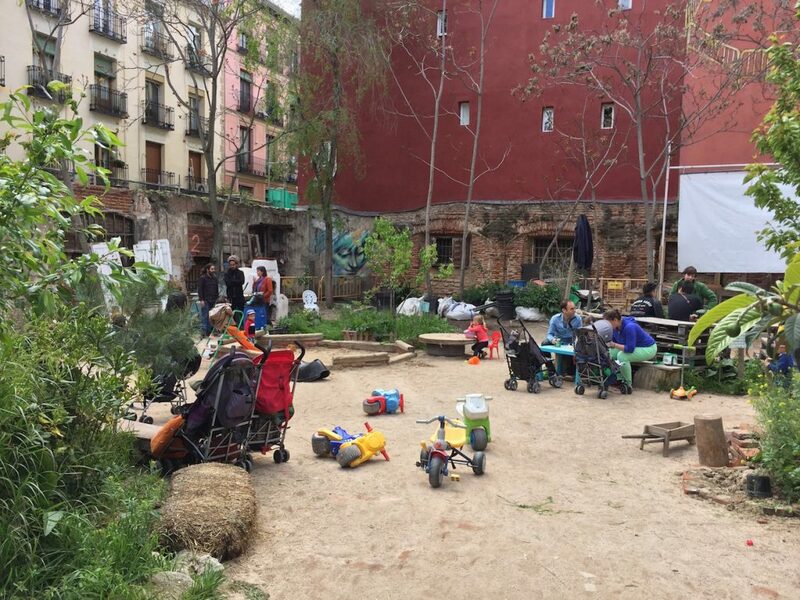 The cooperative that organises all of Largo’s activities is now running in the building a floor of artistic residences, a hostel, a café open in to the square and a massive cultural program developed with and for the inhabitants of the area. Portugal is a good example of the unbalanced states of civic initiatives, whose development depends on the political approaches of local governments. 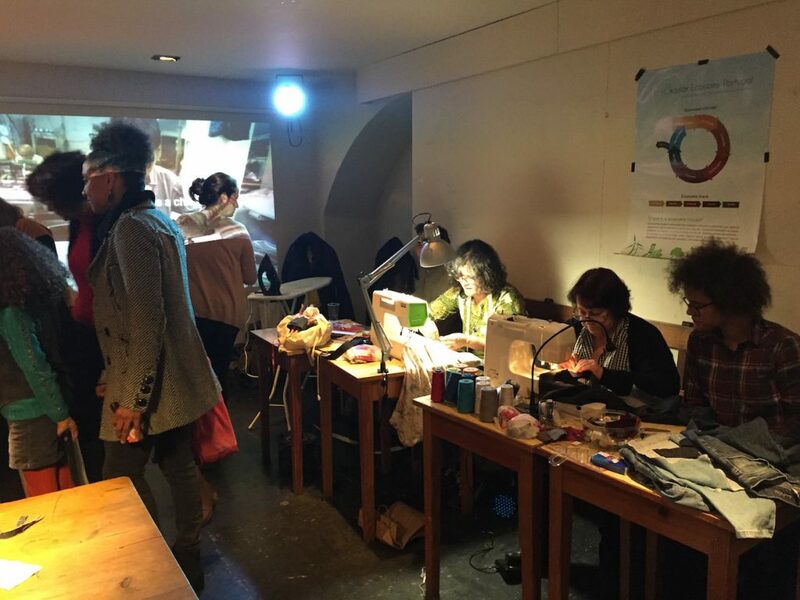 Whilst in Lisbon, these initiatives have been flourishing over the last few years, in Oporto they have been under attack by the former authoritarian and conservative mayor Rui Rio. 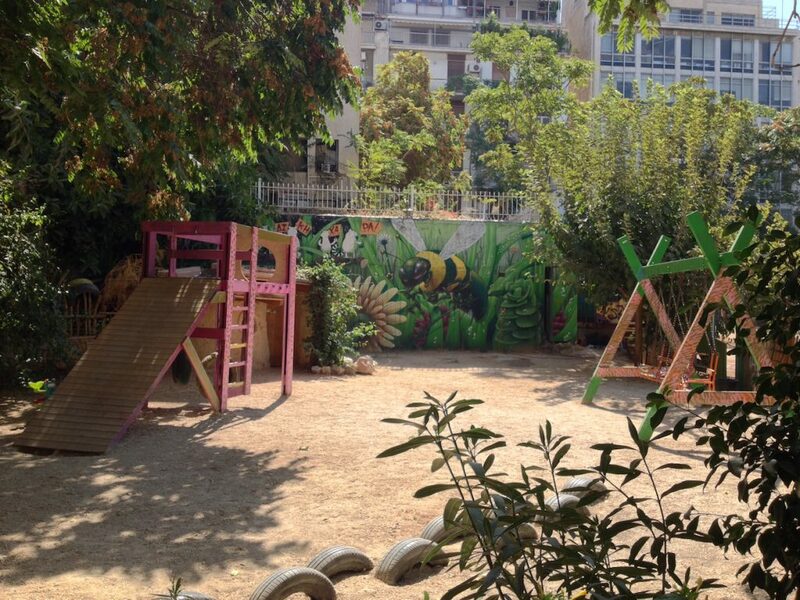 Lisbon’s local government created a program (BIP/ZIP) that, each year, finances around 30 different projects in priority intervention neighbourhoods/areas (Largo Residências was also supported by this programme) At the same time, projects like “es.col.a,” held in a squatted school with a very important social and cultural program at Fontinha (one of the poorest areas of Oporto) have never had any political or financial support from the municipality: es.col.a was evicted and consequently eliminated by the municipality’s decision. The consequences of austerity were the most severe in the Greek context,. where state structures were partially destroyed. Nowadays, local and national governments tend to be involved with citizen initiatives even though with almost no resources, since the funds are all being directed towards structural or emergency goals. Almost everywhere in Greece, the exodus of refugees to Central Europe appears to be one of the most important challenges of the present and near future. Mostly addressing people who aim at crossing the country, EU policies has turned Greece into Europe’s buffer country before nationalist walls. 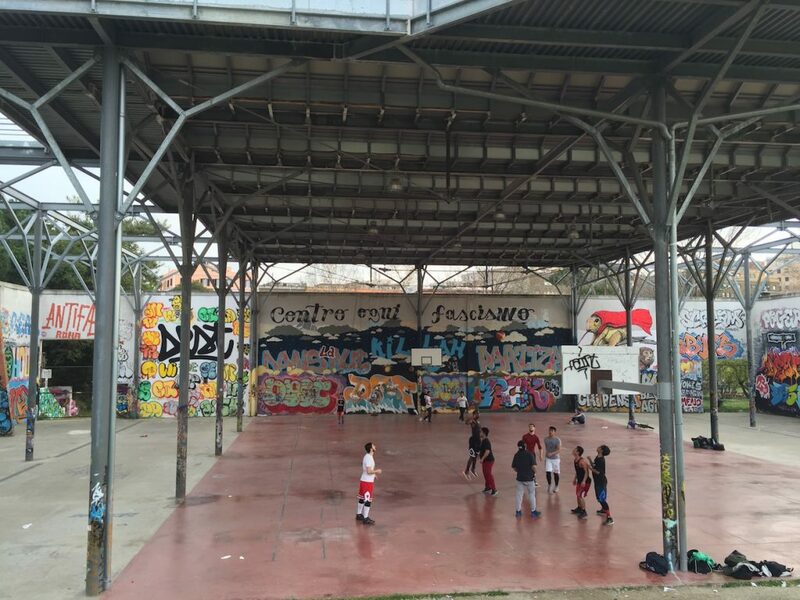 Even though the walking routes are not passing through Athens, when I visited them last July, both the Elionas and Piraeus camps – the first one organised by the government, the second set up informally by a local citizen initiative (now, apparently dismantled) – accommodated thousands of people, waiting. In these camps, local or national governments are not receiving any direct support from EU funds for refugees. Probably more than other PIGS countries, Italy has already had, since the 1980-90s, a very strong and politicised structure of self-organised movements and local citizen initiatives. During the last decades, those initiatives worked as a kind of a blow-off to political institutional collapse. However, the lack of strong national networks and, probably, the missing ambition to upscale local initiatives has prevented the initial energies from unfolding. Despite the deception of the June 2016 national elections, Spain, where the networks of citizen initiatives and protests created strong networks, now face their second stage: disputing power. Local movements that emerged from the 15M movement succeeded in winning elections in the most important cities in Spain – Madrid, Barcelona or Valencia. Even though Podemos. in coalition with other political forces, did not achieve the expected share of votes at the last elections, city governments are already networking, organising new forms of decision-making and empowering citizenship initiatives. However, it is still too soon to measure the results of these new cooperations. A country or a society in crisis is not a “time of opportunities“ as we often hear when stock markets are translated into real life. From what I could see and live, during the last years in these four countries, crises are thrilling times of resistance, but also desperate moments of destruction. The decisive question for these initiatives is how to move from the idea of resistance, within this society frame, towards construction. This will be the only way to step forward from precariousness to resilience. Community, Economy, Governance / Shared administration , civic space, commons, community, cooperative, culture, economy, Funding the Cooperative City, governance, network, social inclusion.